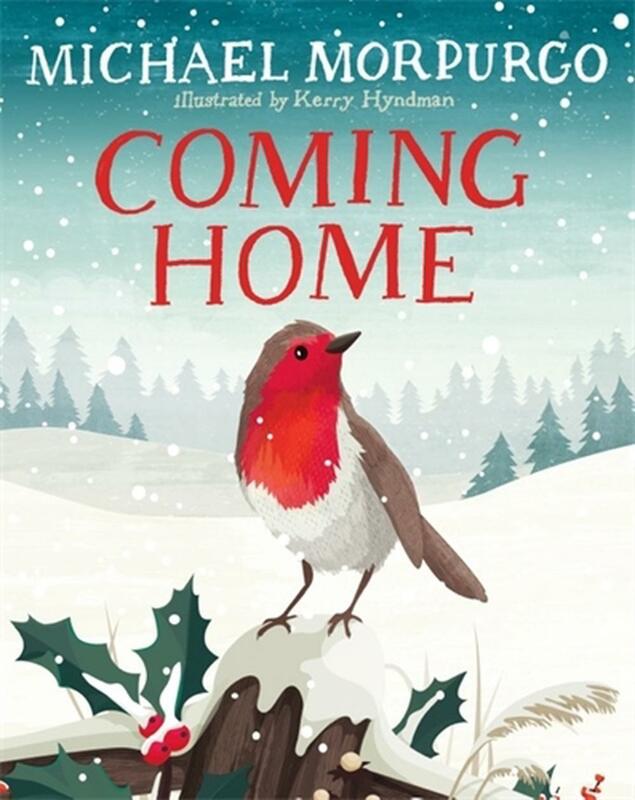 A beautifully-written, lyrical and heart-warming Christmas story with stunning, child-friendly illustrations. Ideal for sharing with friends and family - young and old - during the festive season. A plucky little robin sets out on an epic journey. Through dark forests, driving rain, clapping thunder and flashing lightning. Across frozen wastes, huge mountains and stormy seas he flies. And all the while he's dreaming of home. Of her. But will he ever get there? Find out in this wonderfully lyrical Christmas story from the brilliant Michael Morpurgo, with stunning illustrations by Kerry Hyndman. Michael Morpurgo OBE is the former Children's Laureate and best-selling author of over 130 books for children, including Private Peaceful, Kensuke's Kingdom, The Butterfly Lion, and War Horse, which first performed at the National Theatre in 2007. Michael, and his wife, Clare, started the charity Farms for City Children, which runs three farms around the country, each offering children and teachers from urban primary schools the chance to live and work in the countryside for a week. ; Kerry Hyndman is an illustrator and mapmaker. She has a Fine Art degree from Newcastle and a Master's in Illustration from Kingston. In the studio, she works on a range of projects across editorial, advertising and publishing. She has recently illustrated David Long's Survivors (Faber, 2016). Out of the studio she enjoys snowboarding, climbing and cycling. She is also a lecturer in Illustration at Goldsmiths University.